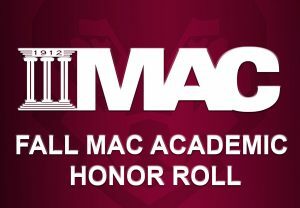 Annville, Pa. (Jan. 11, 2019) – 85 student-athletes represented Alvernia University on the 2018 Middle Atlantic Conference (MAC) Fall Academic Honor Roll, as announced by MAC Executive Director Ken Andrews on Friday. A total of 1,447 student-athletes were recognized across the across the MAC for the achievements in the classroom. The academic honor roll is comprised of student-athletes who compete in a varsity level sport and registered a semester GPA of 3.20 (on a 4.00 scale) or higher. Women’s Soccer led the way with 20 representatives, five of which achieved a 4.00 GPA. Field Hockey posted 18 representatives, and Men’s Soccer had 16 representatives. Both Women’s Volleyball and Women’s Cross Country were represented by nine student-athletes. Football had eight representatives, and Men’s Cross Country had five. 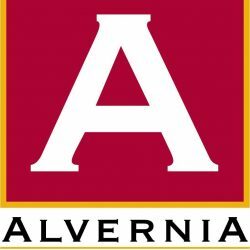 Across all sports, nine Alvernia student-athletes achieved a 4.00 GPA this semester. They are indicated below with an asterisk next to their name.